Your child can spend over 35 hours per week in their school shoes. A good supportive school shoe should be a priority to aid their growth and development. 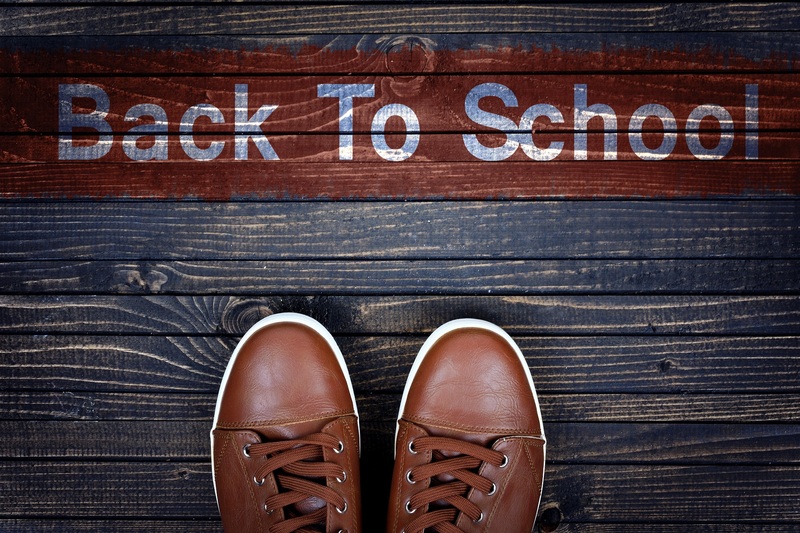 These are a few factors to think about before buying new school shoes for children. Take your child school shoe shopping. Every shoe fits differently so its important your child is there to make sure the shoes are comfortable in the store, if it’s not comfortable in the store it can cause a lot of pain when the child is in them for the full school day. Childrens feet are constantly changing size so its so important to have the child's feet measured properly. Incorrect fitting shoes can cause a wide range of problems including corns and callus and even change the way the child’s foot moves and function to name a few. Is there unusual wear on one sole of the shoe? If there is it can be beneficial to see your podiatrist before purchasing new shoes. The following tips will ensure that your child’s feet will be appropriately supported so they can fully enjoy their time at school. It is best to shop for any style of shoe in the afternoon, the foot naturally swells throughout the day the more we are on our feet. Measure and get the correct foot size. There should be a thumb’s width from your longest toe to the end of the shoe and shoe should not feel like it's squeezing the forefoot. A firm heel counter: press the back of the shoe and it should not move. This is important to support the ankle. A supportive midsole: the shoe should not twist and bend in the middle. Flexibility at the toe area: the forefoot of the shoe should only bend where the toes bend. If you have any concerns about your children's feet, ensure you contact one of our friendly Podiatrists at Coast Sport. Contact us on 4356 2588 or book an appointment online via the button below. Thanks to Coast Sport Podiatrist Will for preparing this blog. You can find out more about Will here. To find out more about our Podiatry services, click here.